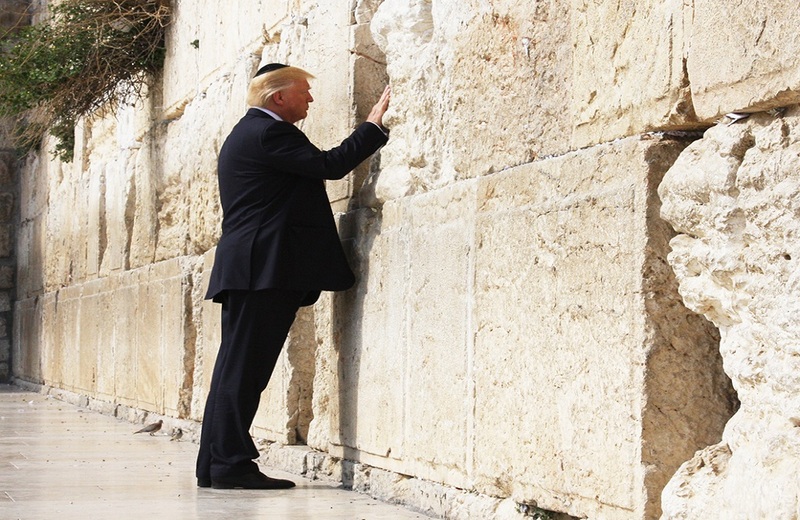 On Wednesday 6th December the US President Donald Trump formally recognised Jerusalem as the capital of Israel and declared his plan to move the United States Embassy from Tel Aviv to Jerusalem. More in detail, he underlined that such a decision represented “a long overdue step to advance the peace process” and was based on a previous promise during his electoral campaign already in 2016. Although from the Trump administration’s perspective this has been considered as an action directed to pursuing peace between Israel and the Palestinians, in reality the result has completely been the opposite. On the night of the announcement, protests and clashes quickly started across the West Bank and the Gaza Strip. At the institutional level, the Palestinian leadership together with the great majority of governments in the world strongly criticised Trump’s 12-minute-long speech and its impact on regional as well as global politics. Not only is this decision against international law and previous UN Security Council Resolutions about the status of Jerusalem, but as a result it will allow Israel to increase the construction of new illegal settlements in the West Bank and the demolitions of Palestinian houses in East Jerusalem in order to Judaize that land as much as possible, according to Human Rights Watch – HRW and to the United Nation’s Office for the Coordination of Humanitarian Affairs – OCHA. A new direction for the Palestinian struggle? Within the West Bank and Gaza Strip, Trump’s declaration did not come as a surprise. In fact, since 1967 Israel has used several coercive and administrative tools to continue its ethnic cleansing of Palestine, already initiated in 1948. On the other hand, just after the declaration, many Palestinians started talking of a third Intifada, such as Hamas’ leader Ismail Haniyeh, who declared Friday December 8th as the “day of rage” across all the occupied territories and Gaza. If we consider that in 2000 the second Intifada started after former Israeli Prime Minister Ariel Sharon visited Al Aqsa mosque in Jerusalem’s Old City – the third holiest site in Islam – it is possible that current demonstrations will generate something more powerful and larger in comparison with what happened in the past few years. At the same time, Palestinian President Mahmoud Abbas has lost his political approach founded on a diplomacy-only way. Certainly, the so-called “peace process” and its talks will be frozen, at least until a change in power in the United States, or in Israel, or in the Palestinian Authority, as Fatah’s Official Spokesperson Nassa Al-Qudwa announced saying that “the US has annulled its status as co-sponsor of any peace and political process in the region”. Even though the United States have historically considered themselves as a neutral mediator between the two sides, Palestinians and Israelis, the US leadership has mostly promoted Israeli politics and interests. In these terms, Trump’s strategy also represents a political gift to his close ally Benjamin Netanyahu, especially in such a difficult moment for the Israeli government following significant demonstrations that have taken place in Tel Aviv in the last weeks against him and his anti-democratic legislation. On the other side, Trump’s announcement could also change the internal balance of power between Hamas and Fatah, mainly in relation to the reconciliation agreement, though their deep political and ideological differences. Overall, Trump’s decision led to the United States being isolated and strongly condemned by a widespread chorus of criticism across the world. Indeed, this is just a further step to achieve a complete Israel’s annexation of East Jerusalem, that is already visible in many areas and neighbourhoods of the city. If for the past 20 years the illusion of a two-state solution has been taken for granted as the only feasible way out, it is time to admit that it never had chance to succeed, it never had chance to end the Israeli military occupation and to create a Palestinian state on 1967 borders with East Jerusalem as its capital.